Kentcentric: Garden city in the Garden of England? Garden city in the Garden of England? Media reports suggests that Yalding, in Kent, could be home to two new ‘garden cities’ being considered by Eric Pickles, Secretary of State for Communities and Local Government, as a way of solving the current housing shortage in the South East. Rumours of a secret report identifying Yalding and Gerrards Cross in Buckinghamshire have surfaced. Deputy PM Nick Clegg has stepped into the debate to ask his coalition colleagues to come clean on whether plans for these new communities are being considered. Garden cities are not new, dating back to Ebenezer Howard and the Garden City pioneers, leaving us with communities planned to provide a pleasant environment with low-density housing. The question has to be – is Yalding an appropriate location for a future garden city? 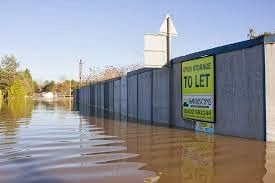 Talk of 50,000 new homes in one location, whether Kent or the other in Buckinghamshire, will send political shivers down the spines of local authorities, but putting the political dimension to one side, the big issue over the validity of Yalding - which can’t be ignored - has to be the recent high profile flooding. 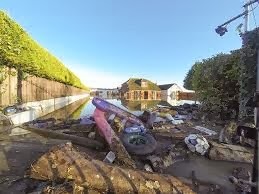 Christmas 2013 saw the community once again face the nightmare of flooding thanks to it being the confluence of three rivers – Medway, Teese and Beult. The local authorities and government didn’t escape reputational damage either, with villagers criticising their response, and David Cameron being lambasted on a visit. 1. 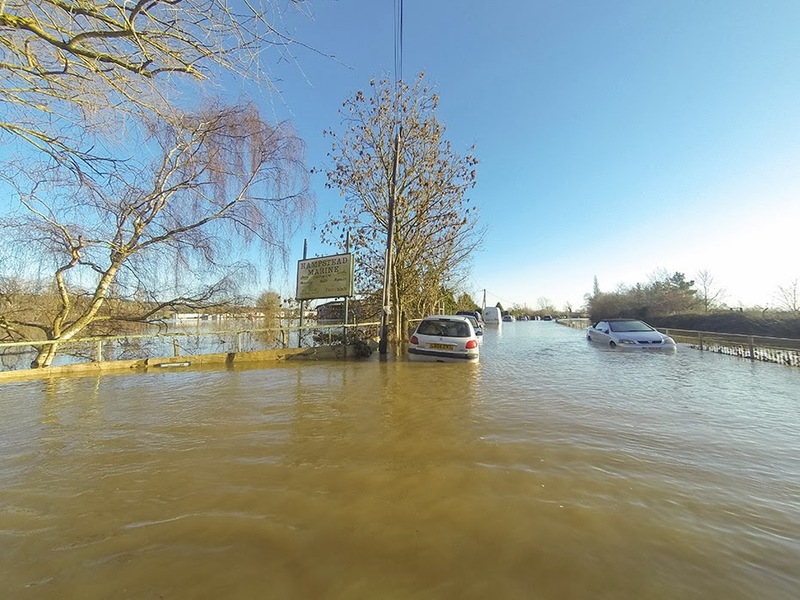 Yalding is situated on a flood plain and mitigation would be highly expensive. 2. Yalding is not close to any motorway and doesn’t enjoy easy access to the nearby towns of Maidstone and Tunbridge Wells, both of which suffer from acknowledged congestion. 3. A new town with 50,000 dwellings would have an estimated population of 115,000 (based on a UK average of 2.3 people per dwelling) – that’s the equivalent of the whole population of the Borough of Tunbridge Wells. 4. The scale of the proposed housing is way ahead the agreed levels of new homes earmarked by Tonbridge and Malling (6,000 by 2021 with its Local Plan currently being finalised), Tunbridge Wells (6,000 by 2026) and Maidstone (14,800 by 2031). 5. Who will fund the investment in infrastructure and public transport? No major schemes, including a potential Garden City, have been identified by the South East Local Economic Partnership or the Kent & Medway Economic Partnership – and these are the organisations charged with driving local growth. 6. Where will the new jobs to support such a massive population increase come from to ensure the new town is truly sustainable? 7. Who will fund the delivery of the new schools and associated public services? 8. What would happen to the viability of other housing developments earmarked in nearby towns? Before coming up with possible new city sites surely Mr Pickles would do well to first overturn his colleagues at Natural England and give the go-ahead for 5,000 new homes at Lodge Hill in Medway put on hold by 60+ pairs of nightingales. And Natural England, and environmentalists, will undoubtedly lock horns with Mr Pickles over any proposals on the scale of a new town centred around Yalding. Rather than set such a provocative story running, wouldn’t it be better for the DCLG, and investors, to seek to unlock the already identified potential for housing growth, such as Thames Gateway, along the M20 corridor or coastal towns, that sits well against its existing infrastructure? What does the Kent development community think?